This Sunday, September 14th, 8 PM ET/ 5 PM PT, TDPS celebrates the launch of its third season by welcoming back TDPS favorite, Bryan Fuller, creator of NBC’s Hannibal. If that’s not enough fun and frivolity for you, we will also kick off a 24 hour giveaway of free electronic copies of Christopher’s forthcoming thriller, THE VINES. 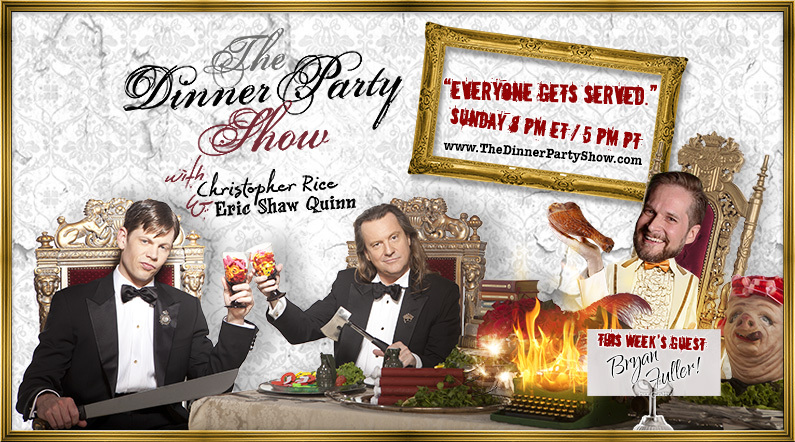 Find out how to download your copy when The Dinner Party Show with Christopher Rice & Eric Shaw Quinn returns for an all new season.